Better Go to Fandango Now! With all the horror stories we have of Channel Massive’s past game day LAN parties, our staff probably could have written the script for this movie; but someone beat us to it. 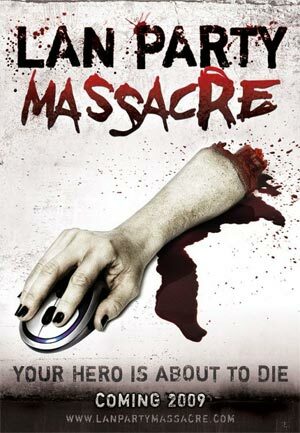 LAN Party Massacre is a Comedy/Horror Slasher film that is a direct parody of video game culture, but a classic slasher film at heart. This fine piece of cheese will be in theaters in 2009 and will surely break box office records.